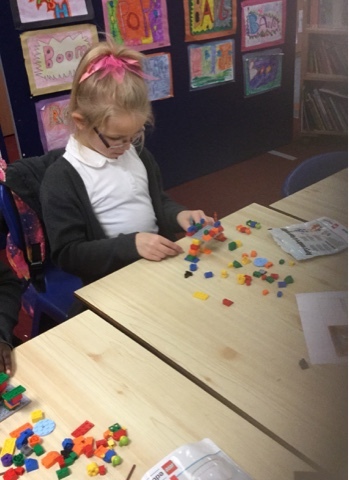 We have been estimating and measuring the total volume of different sized containers. 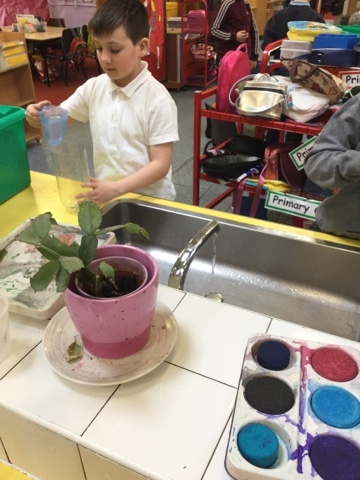 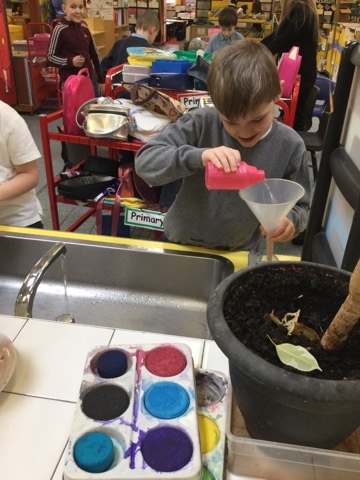 We used measuring jugs and funnels to make sure we were being exact with our measurements. 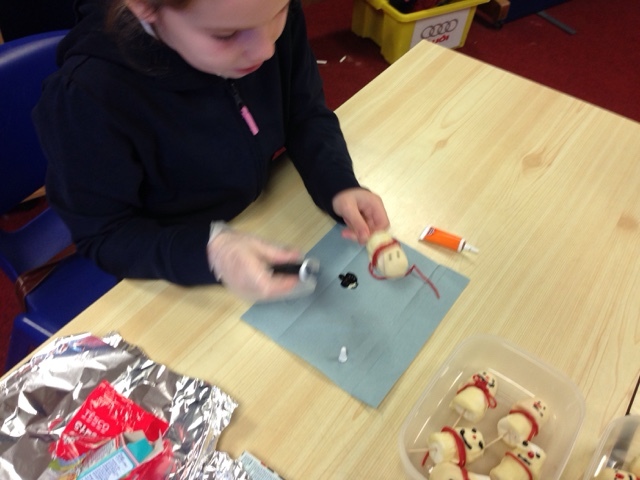 We have been rushed off our feet preparing for Burns day. 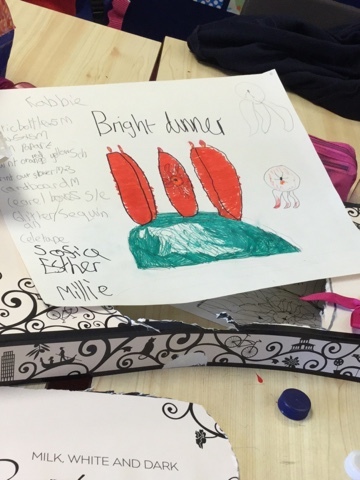 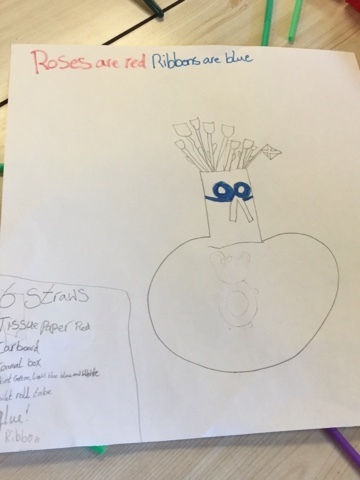 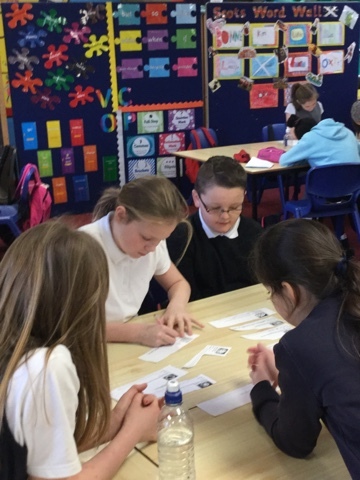 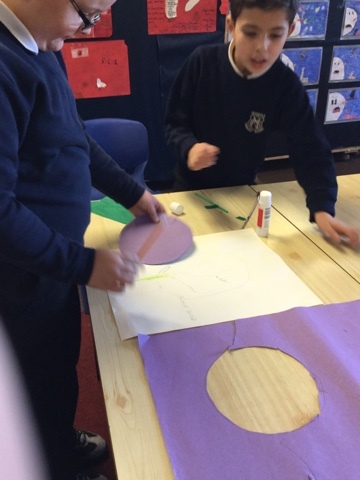 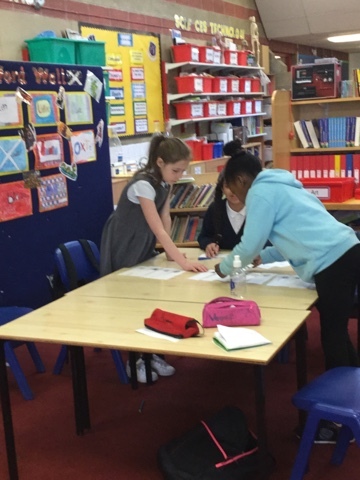 We have been working in cooperative groups to design an appropriate centrepiece for a Burns Supper. 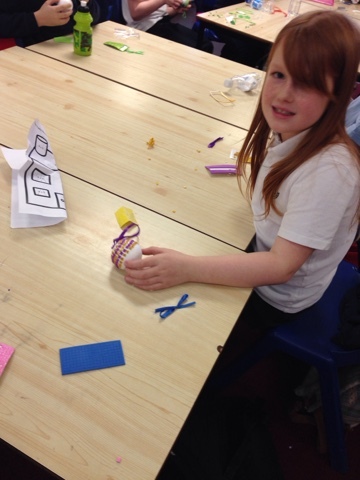 After we designed our centrepieces, it was time to get making. 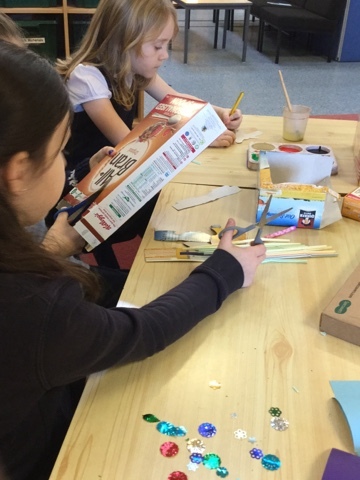 Here are some pictures of us getting started. 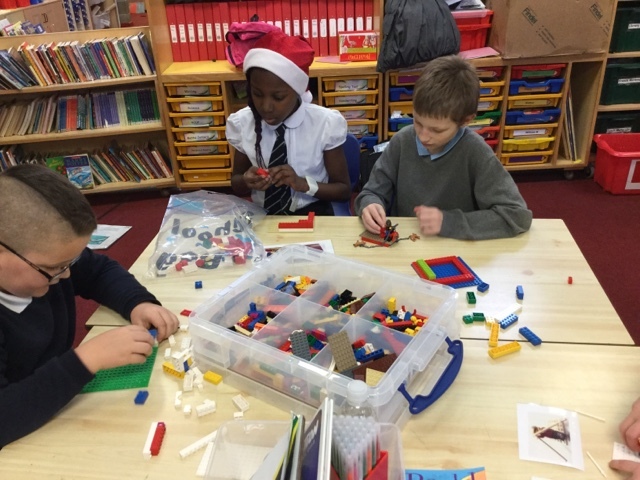 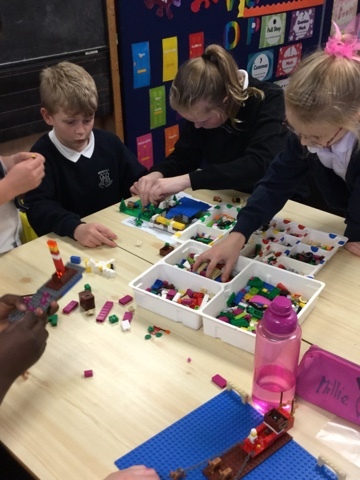 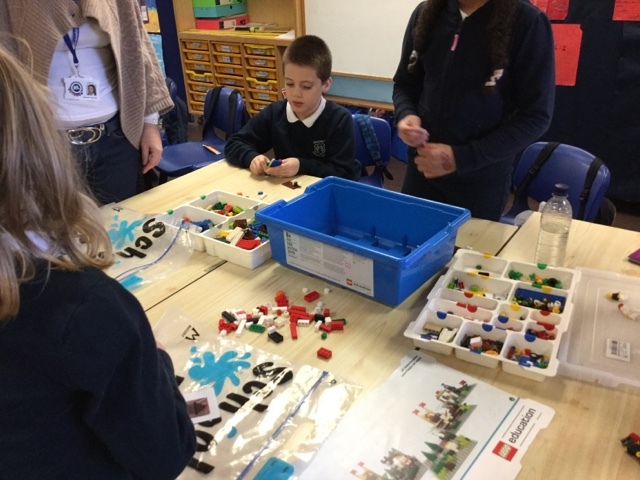 We have been working hard in groups to create a Christmas scene using Lego. 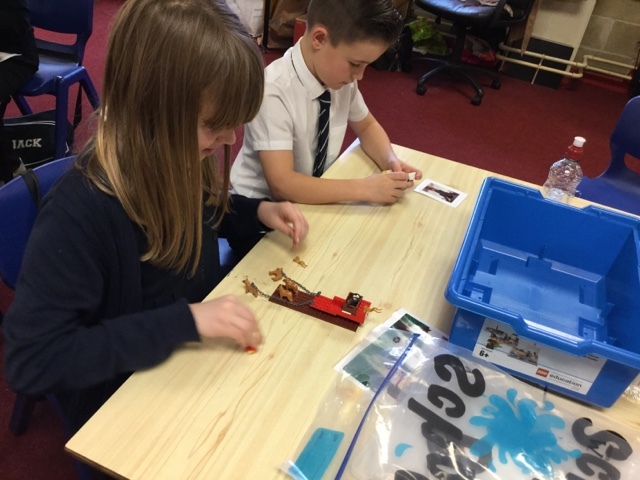 Some of us created Santa's sleigh, an angel and even a snowman. 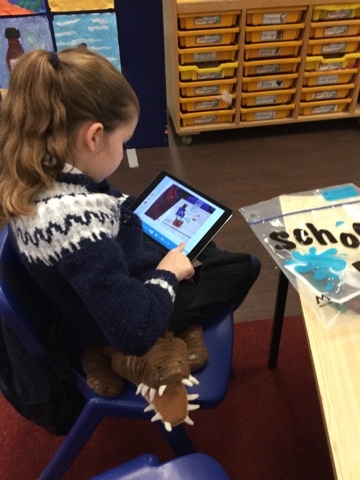 Once we created the scenes we used IPads to take photos and we used these photos in a story telling session. 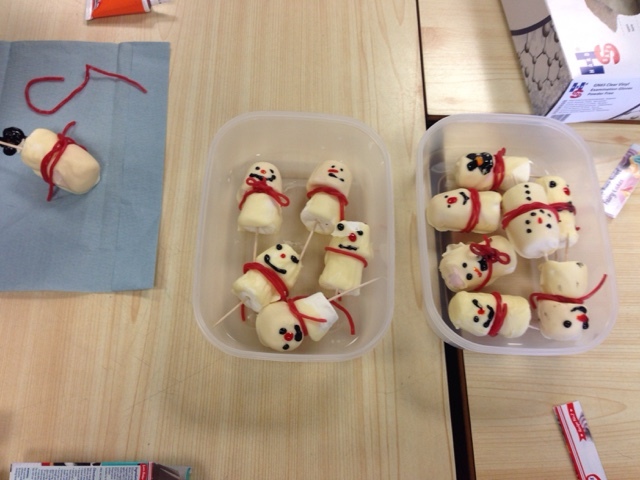 We have been busy making scrumptious snowmen to sell at out Christmas Fayre. 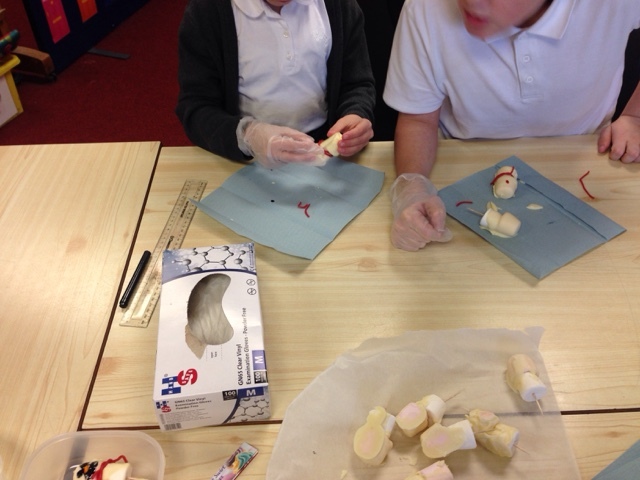 We made sure our hands were spotlessly clean and used gloves to ensure we were being hygienic. 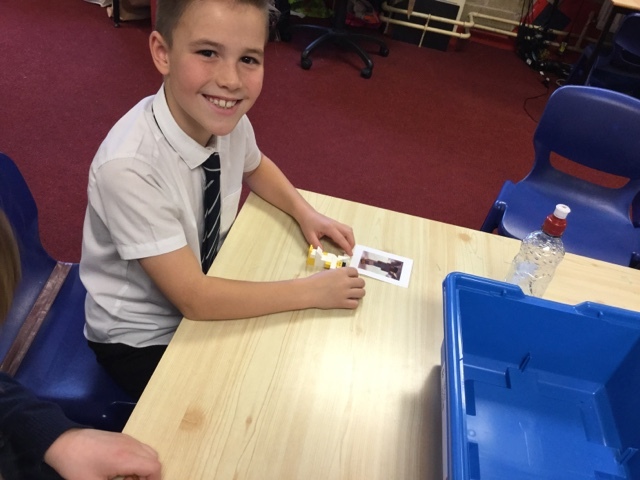 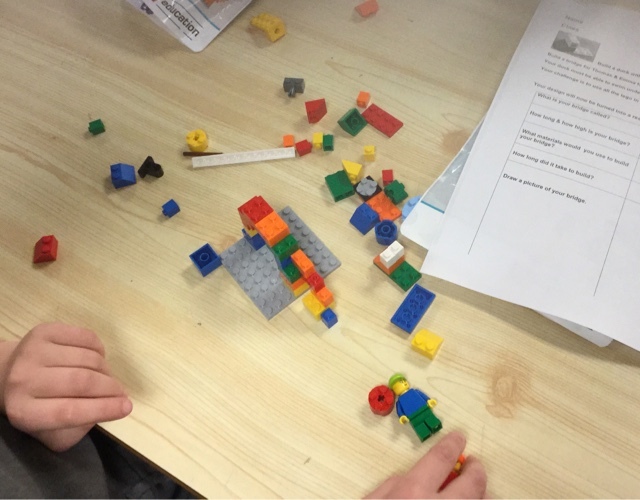 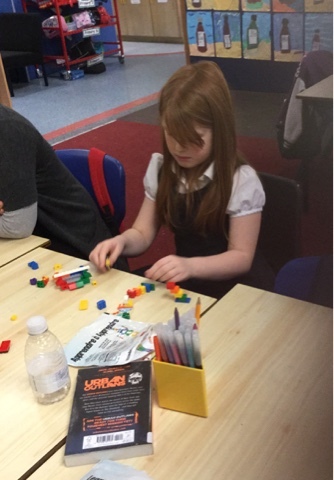 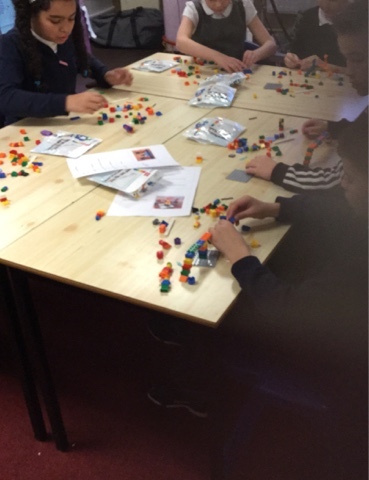 This week we have been trying to solve a design challenge using Lego. 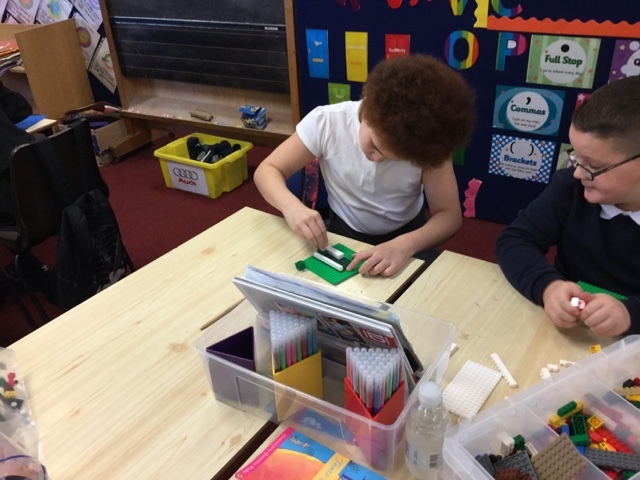 We had to build a bridge that was tall enough for something to pass under it. 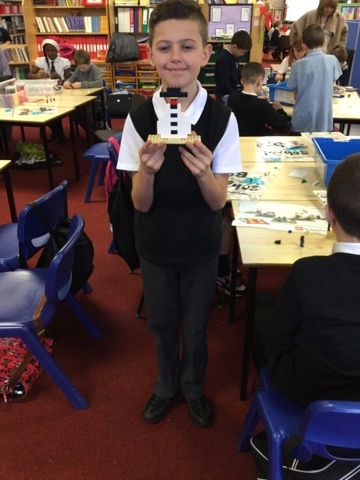 Our bridges also had to be strong enough to hold some Lego people. 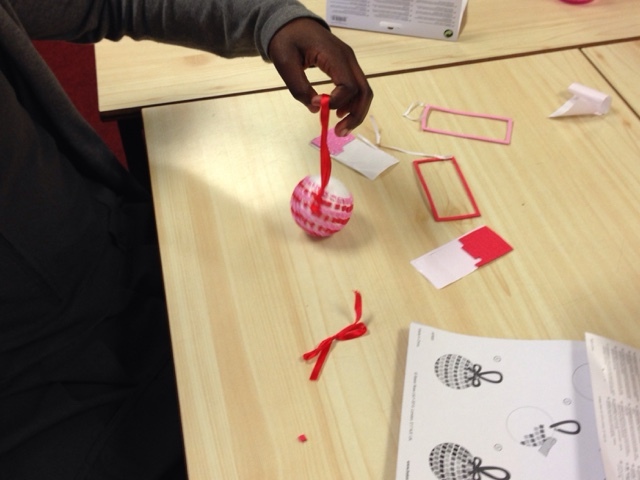 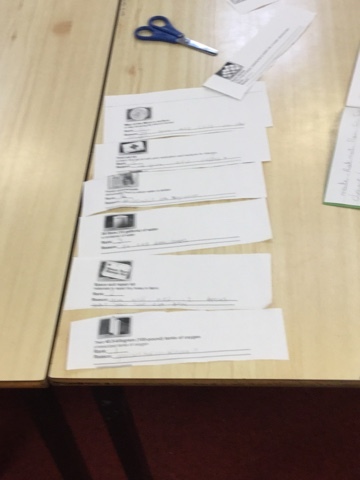 Here are some pictures of our attempts. 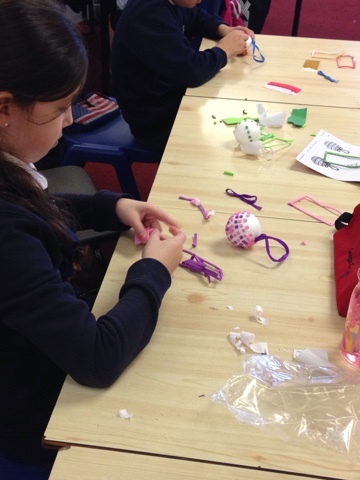 We have been busy making lovely Christmas Baubles to sell at this years Christmas Fair. 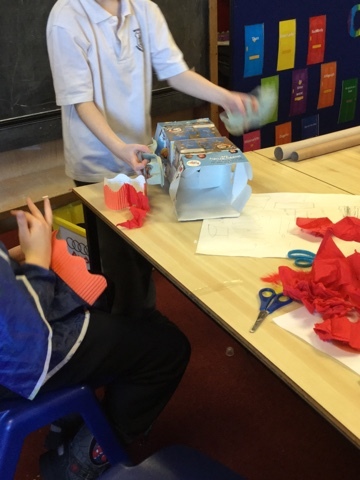 It was tricky work, but we got the job done and are looking forward to selling them next week!